Sometimes you just want a piece of good chicken on the bone. These crispy baked chicken thighs are spectacular. Crispy and well seasoned on the outside and tender and flavorful on the inside. One of the best things about this meal, I can have them ready to bake before the oven is preheated! Simply serve with fruit and roasted veggies for a meal you can have prepared in minutes or maybe along side Broccoli Pasta or Alfredo and a nice salad for a dressed up dinner at home. If you’d rather use drumsticks (I always make a drumstick for my youngest), simply reduce the baking time by a few minutes. However you do it, your family will thank you – these crispy baked chicken thighs are definitely husband and child approved. Now, let’s get on to the recipes. This could be what’s for dinner tonight. Sprinkle both sides of the chicken thighs with seasoning and place on a rimmed pan. Bake for 30, or until chicken is cooked through. 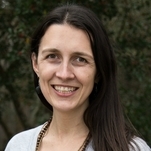 This entry was posted in Uncategorized on October 10, 2014 by Deanna Michaels. This looks like just the sort of thing that will go down well in our house too! They are so easy and super flavorful! Love recipes like that for crazy days. Thanks for stopping by. 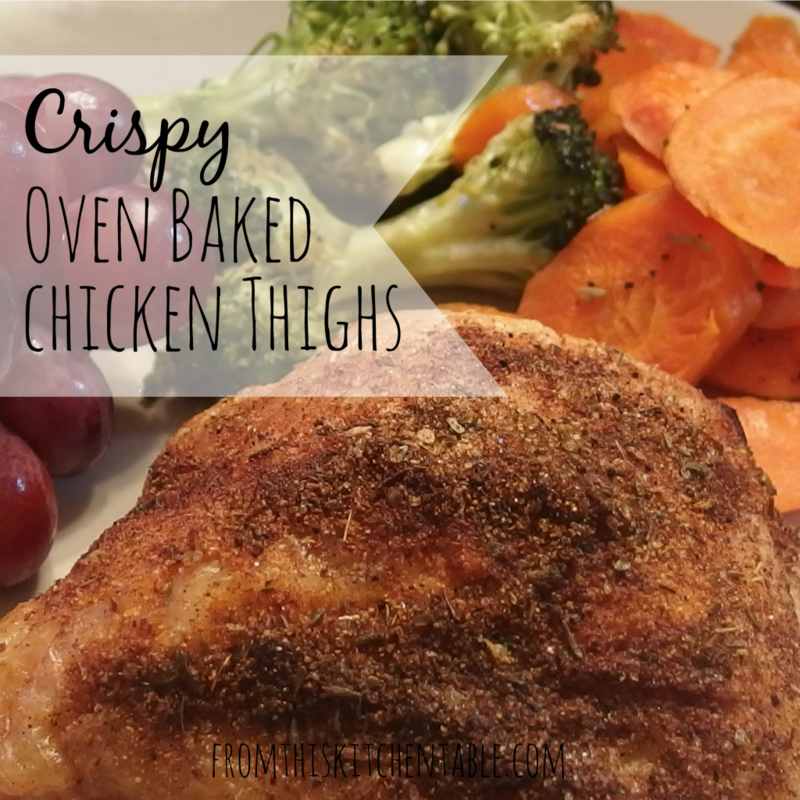 Baked chicken thighs are my go to for a easy dinner on a busy weeknight. I’m going to put your recipe on my menu plan for this week. I love how easy they are! Perfect for busy nights and super tasty. Hope you guys enjoy this recipe. Thanks so much for hosting! Thanks for hosting, Jessica! Looking forward to linking up again this week. Thanks for letting me know about Google+, after I get done with comments I’m going to try and hop over there and add you. They are all super yummy and lead to a flavorful supper. Thanks for stopping by! These look wonderful! Whenever I’ve tried crispy chicken in the oven it’s always too floury. I’ll have to try this recipe. Thanks for sharing with us at Simple Lives Thursday; hope to see you again this week. Thanks for hosting! 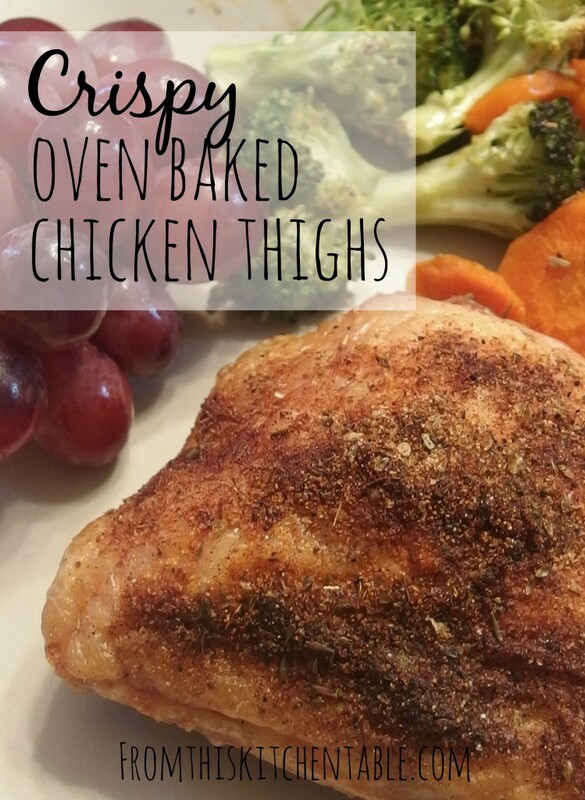 I love how flavorful these are and that they are gluten free and get a really crispy skin. If I wanted to use boneless, skinless thighs, would I need to adjust the temperature or cooking time? I used this recipe last night and my husband LOVED it. We loved baked chicken but always wanted something on them better than just salt and pepper. The seasoning is so perfect! Our new favorite. We want to try it on wings. Thanks! Oh yay!!!! I’m so glad to hear that. Thank you so much for sharing. Love how seasonings can make something taste so good.